…on the Tartan, at least, I worked on it for an HOUR trying to get the shoulder seams to look right. I tried crocheting with embroidery floss, backstitching with the MC (times two or three), and eventually went back to the embroidery floss and hook. Then came the picking up. Thank god the collar’s only 40 rows – I’ll try to get it done tomorrow. Then there’s the other seams! Damn sleeve caps. I also managed to finish the back of my LoTech, and started one of the fronts. Syncopated ribs is also making it into the rotation now – I finished the collar with just a rollneck, because the ribs for the turtleneck just didn’t line up properly. I tried, I really did. So I’m onto the cuffs now, which are just a few inches each of 2×2 rib, and then the sleeve seams. 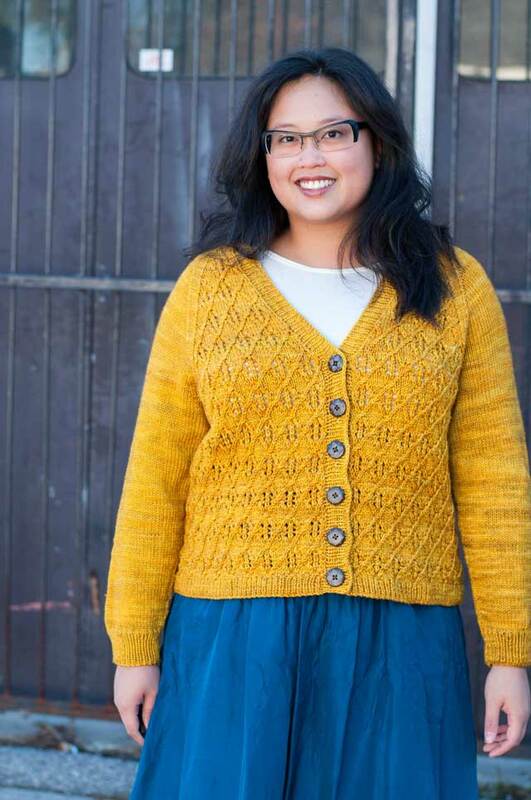 Just like Stephannie, Cari’s Lara makes me want to make one! And just like Stephannie (aren’t I such a copycat? ), I want to use the Jo Sharp Silkroad Aran – the tweed. At any rate, I think it’s decided that I’m going to get some, enough for a sweater. But colour choice, oh colour choice…Like always I’m leaning toward licorice (black) or enamel (dark blue). Friendster – anyone got it? I’m cosmicpluto at hotmail dot com.